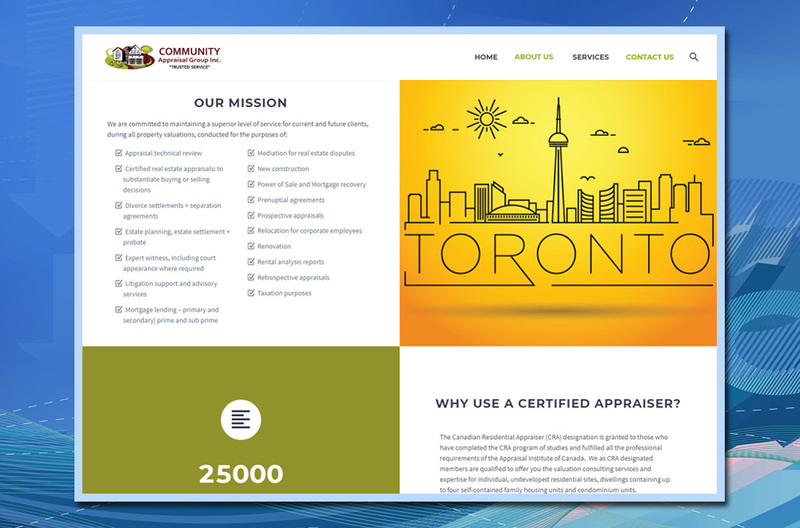 17 Designs developed this mobile-friendly WordPress website www.cagappraisal.ca for Toronto-based real estate appraiser Community Appraisal Group. 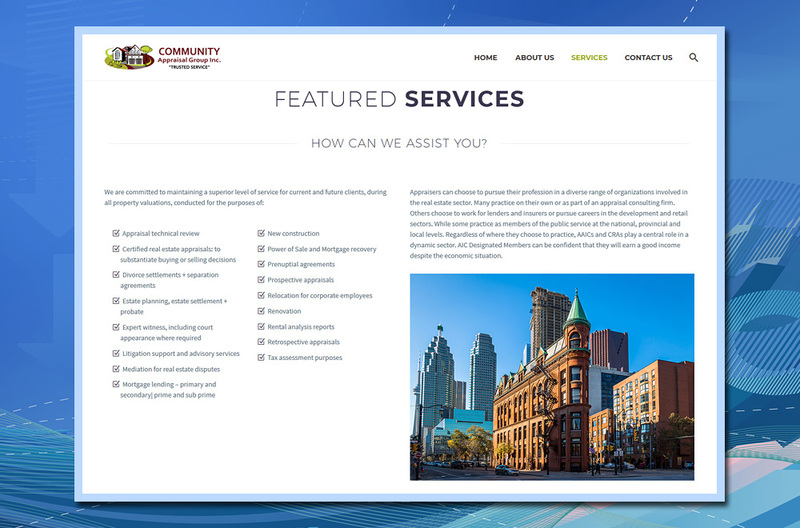 CAG has been in operation for over 35 years and we were pleased to develop their first website. 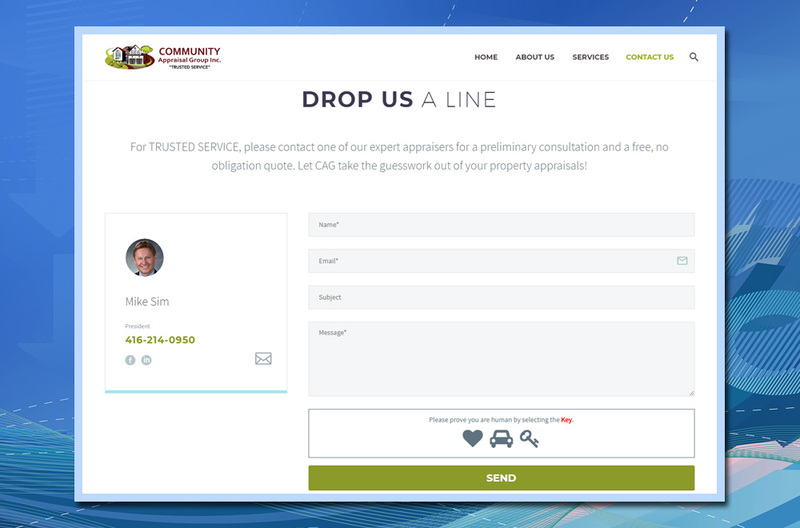 The site features a Home Page with animated Banner and slide-in text / graphics, an About Us Page detailing CAG’s history and involvement within the industry, Services offered for the purposes of mortgage financing, estate planning, divorce or power of sale, and a Contact Page with Google Map and Contact submission form. 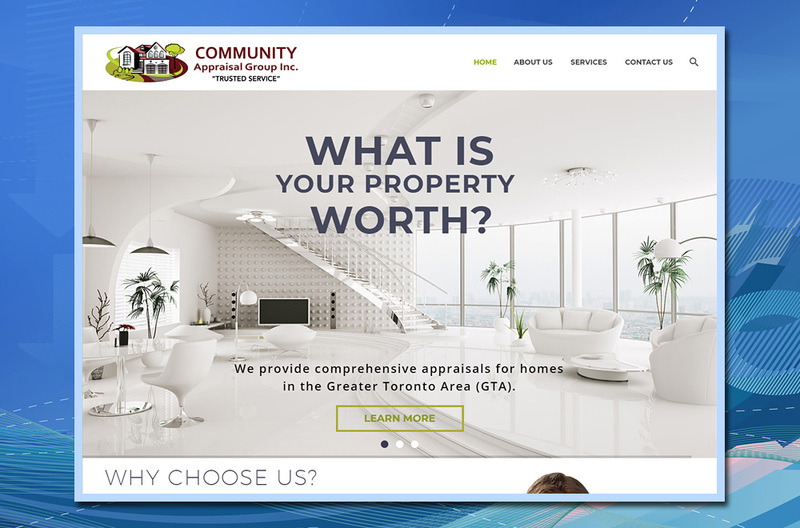 This website also includes copywriting offered by our award-winning marketing and branding specialist, Eniko Campbell. 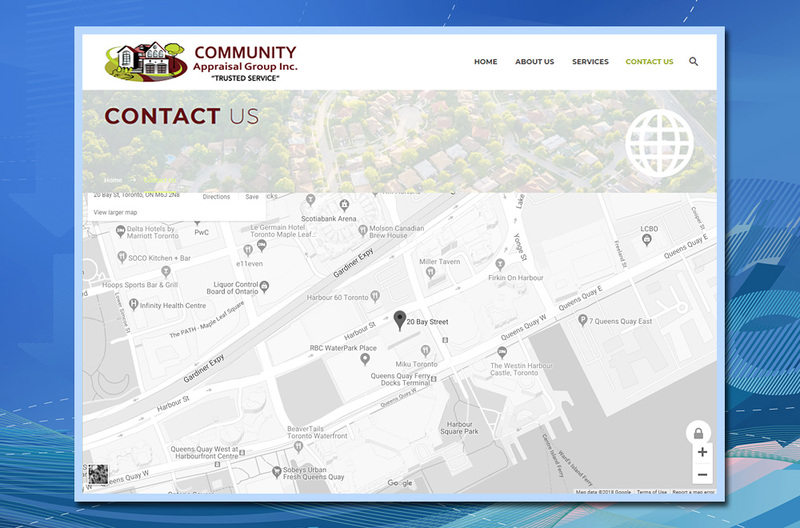 To enhance the content of the website “choice” photos of Toronto were added from Shutterstock.